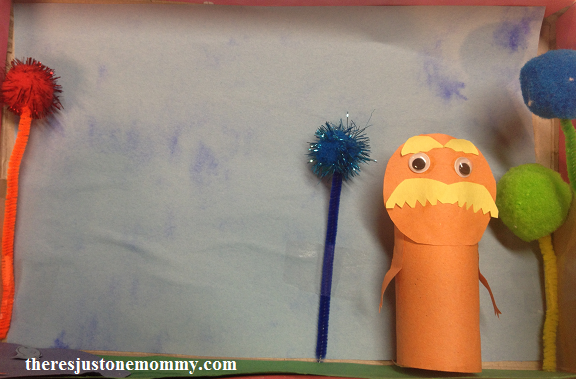 The Lorax Craft: Great for Earth Day! Every March we have fun with some fabulous Dr. Seuss crafts & activities. This year The Lorax stole my son’s heart. 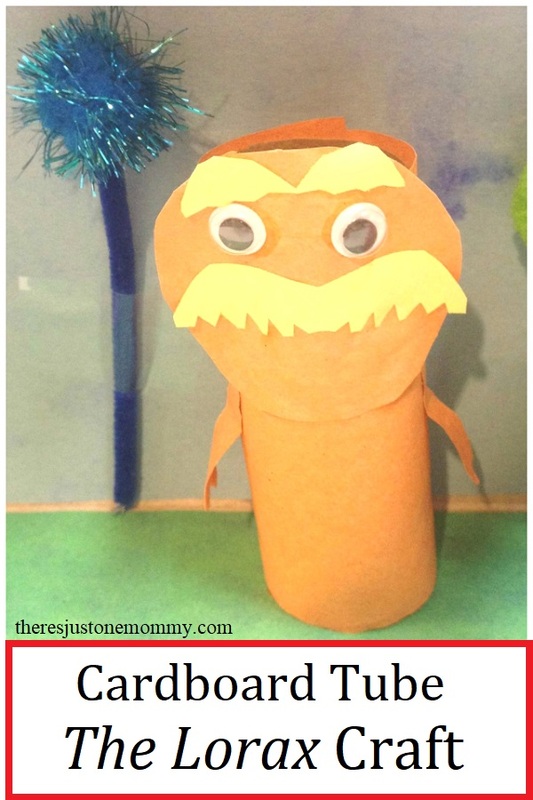 This simple cardboard tube The Lorax craft would be a fun craft for Dr. Seuss’s birthday, or use it as an Earth Day craft in April. The Lorax is one of Dr. Seuss’s brilliant books that has a message. It would be perfect to read with the kids for Earth Day. I think the Lorax himself would approve of this recycled craft. Draw a circle (2 inches in diameter) on orange paper to become The Lorax’s head. Also cut out two orange arms, yellow eye brows and a mustache from construction paper. Glue all the items into place (like the picture above). Finally, add some googly eyes. Of course you can’t have a scene with The Lorax without some colorful Truffula trees! To make your trees, snip pipe cleaners into various heights and then simply push one end into a colorful pom-pom. We used our cardboard tube Lorax and Truffula trees to make a diorama. You can do this by covering the bottom of a shoe box with blue construction paper and adding green paper to one side as grass. 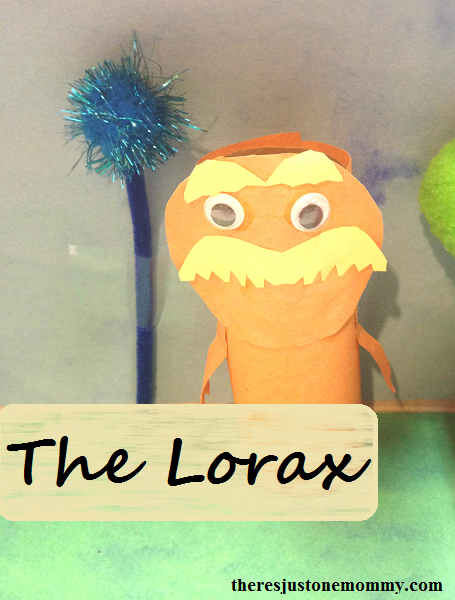 Tape the Truffula trees in place to create a happy home for your cardboard tube Lorax. My son also added a pond with a red fish and blue fish. (Can you guess which Dr. Seuss book he was thinking of?) He has plans to make Horton and a few other favorite characters as well. I love watching kids get so excited about a project! This is so cute and perfect for the kiddos! Thanks for sharing over at Motivational Monday!